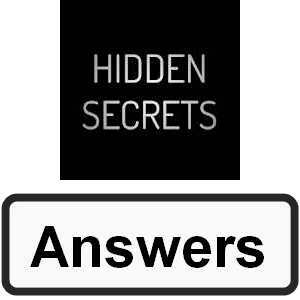 Hidden Secrets free Puzzle solution level/enigma (1-30) answers and free hints are given here. scroll below to find out the answers. This game is all about hard and advanced puzzles or enigmas. It took some time to find out all the answers but I have solved answers but I’m sharing only the answers of these levels with you. The answer to each puzzle is a simple phrase in English, just insert it to advance to the next puzzle. I am looking for answers of puzzle 29 and 30, Comment if you help me with answers, It will other users too. Thank you.